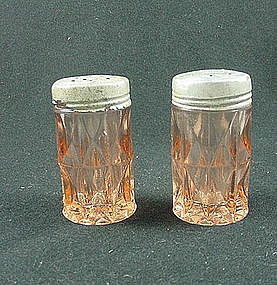 These shakers are part of the Windsor pattern made by Jeannette Glass from 1932 to 1946. Excellent condition, price is for the pair. See my other listings for more in this pattern.